Breakfast: Monday - Friday: 7:00am - 11:30am. Lunch: Monday - Friday: 11:30am - 2:15pm. 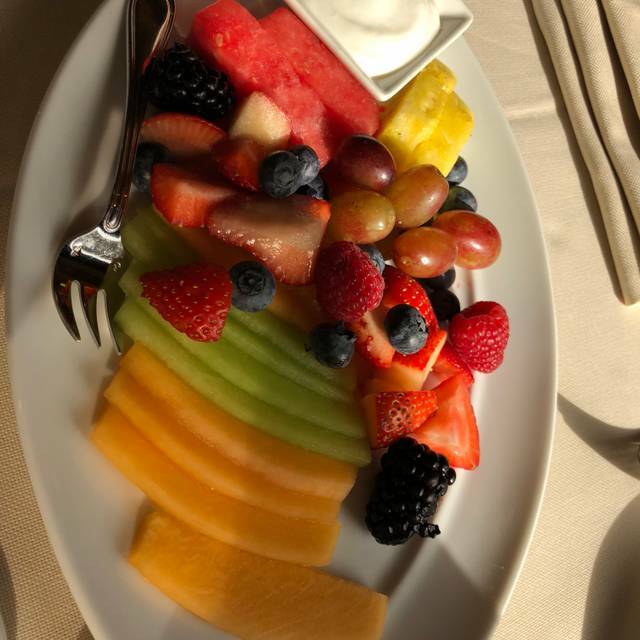 Weekend Brunch: Saturday - Sunday: 7:00am - 2:15pm. Enclosed parking is available at the Wynn self park garage, located off Las Vegas Boulevard. Valet parking is available at the Wynn Main Gate off Las Vegas Boulevard; and both the Wynn Tower Suites Gate and Wynn South Gate, located off Sands Avenue. Please visit wynnlasvegas.com/parking for rates and further information. 24/7 Las Vegas Public Transit - both the Deuce and Express Bus stop outside on Las Vegas Boulevard. Tableau is available for private events nightly, accommodating standing receptions for up to 150 guests and seated dinners for 100. An elegant oasis tucked away from the bustling hotel and casino, Tableau strives for the ideal combination of Vegas glamour and innovative American fare. 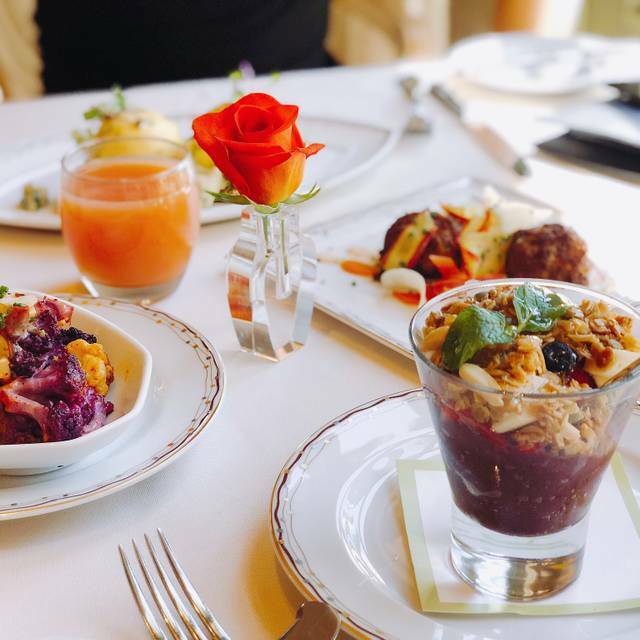 Nestled inside the lobby of the Wynn Tower Suites, and perched over a grove of pristine pools, Tableau has become the top spot in town for a luxurious breakfast or lunch experience and a popular nighttime setting for private parties and events. Chef Rene Lenger brings his deft touch to the cuisine, with only the finest, most distinctive seasonal ingredients gracing his menus. The décor matches the sophisticated fare, combining whimsical and elegant themes that play off each other beautifully. Divided into a large main dining room and the smaller, more exclusive Conservatory, the space features floor-to-ceiling windows, textured stone walls, opulent Murano glass chandeliers and luxuriously appointed tables. Amid the chic environs of Tableau, you might think you've been transported, however briefly, to Palm Springs or Paris. It was a beautiful brunch location! Service was phenomenal. Bottomless mimosas was awesome and food was decadent! Perfect spot for girls trip! Awesome ... can’t wait until our next visit to The Wynn. 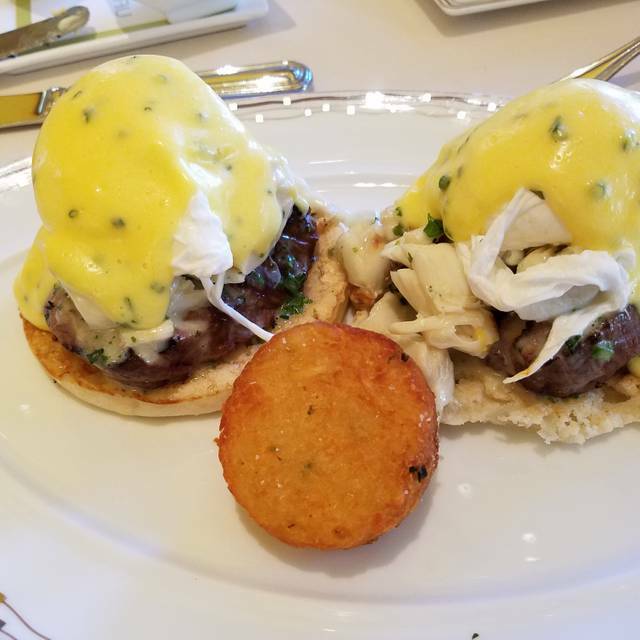 Lunch at Tableau is a must! My wife and I visited Tableau for the first time for breakfast. Wow. The room was breathtaking. The service was excellent. 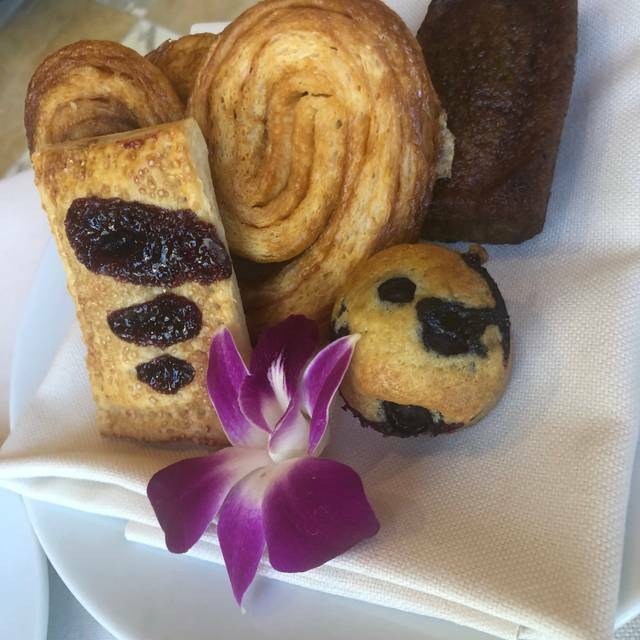 I would highly recommend anyone visiting Las Vegas who would look to spend a few extra dollars to have a very special breakfast to visit Tableau. The food was delicious. 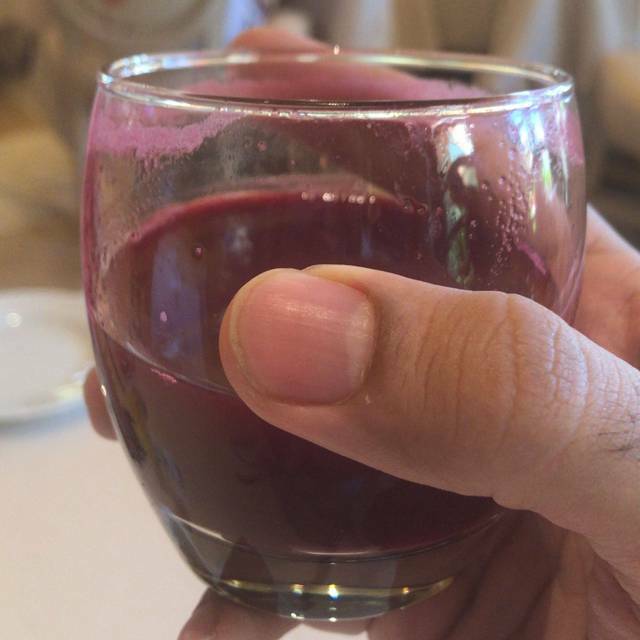 The juice tasted as if it were just squeezed from some of the best oranges and other citrus fruits to create a perfect orange juice. Many healthier options are available to those who are counting calories or eating well. My wife and I ordered two different types of pancakes and they were both delicious. I hope to visit Tableau in the future. Had breakfast on the patio. Just excellent all around. Every place at the Wynn is exceptional. 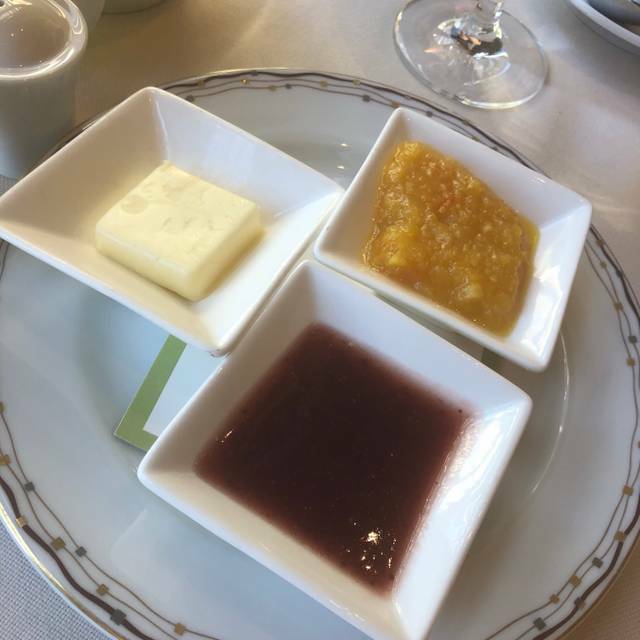 However, breakfast at tableau was beyond disappointing. I ordered corn beef hash for 24 dollars. I received perhaps 5oz. Of food. It was the most bizarre variation on the concept. I’m not sure there was half an ounce of corned beef in the meal. My wife ordered the Tableau breakfast for 30 dollars. Again nothing on the plate. It was better than mine but still absurd. Tableau is always a pleasant, relaxing dining experience. It was a beautiful morning so we dined on the patio. 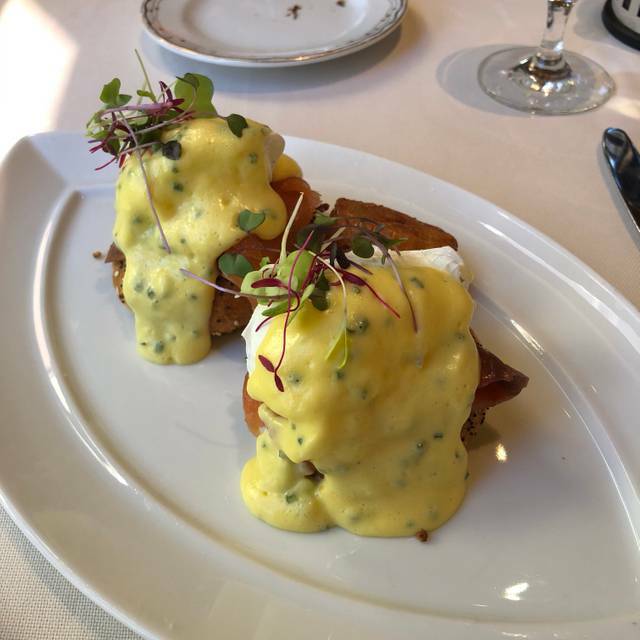 This time around I tried the eggs benedict 'Nautica, " which was delicious and will probably be my go to dish from here on out. We shared a French press coffee - always a treat. Service was, as always, perfect. Exceptional service. Breakfast is amazing. The restaurant is beautiful, quiet, and calm. The atmosphere was beautiful . Food and drinks were all amazing . But best of all, the service was spectacular! I would definitely recommend and I will be returning on my next trip to Vegas . Always a pleasure for Sunday brunch. Food and service is wonderful. Great for everyday and special occasions. Food was excellent and service was great! Would recommend eating here often. Great place for a relaxing lunch. A bit pricey, but worth it. My sister waited 1 hour for oatmeal all our food orders were incorrect. We’ve eaten here for 12 years since they opened Wynn and it was the worst experience we’ve ever had. Brought guests. Wonderful service and meal. Service is always exceptional and has been three days in a row, except for today. The server was probably having a bad day. The service and food at this restaurant is perfect! Everything was fantastic but portion size is small. Only had breakfast. Very good experience. Wait staff very attentive. Great experience. Highly recommended. See my yelp review. They have vegan/plant-based menu at all the restaurants, including Tableau. Great food. Impeccably decorated restaurant. Great service. It is always a pleasure to dine at Tableau. We shared the Belgian waffle with blackberries and candied bacon as a starter. The "waffle" is actually four small waffles, which if you have a group of two - four is perfect for sharing or you may opt to keep all this deliciousness to yourself! My husband enjoyed the Western Fritatta while I had the traditional eggs benedict. 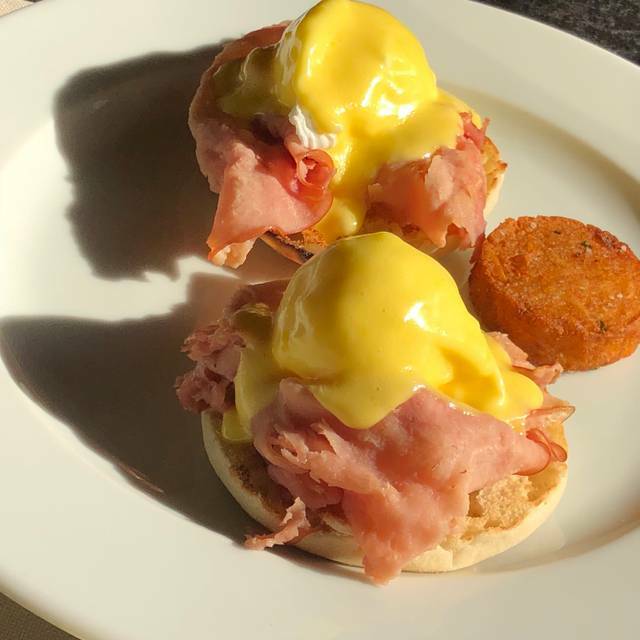 The eggs were property poached with nice, creamy yolks served atop shaved ham and a lightly toasted English muffin. The service, as always, was attentive without being over-bearing. We had reservations but still waited 15-20 minutes for a table. Then it took 15 minutes for waiter to take our order. Luckily the food was good and made up for slow service. The food was amazing! The portion sizes on the omelet and Benedict were great but the waffle was very small. They had a ton of gluten free options and the service was spectacular. We will definitely be back!! Great experience while staying at the Wynn Tower Suites. Make a reservation. Great menu for the Suites guest. Excellent service. I had an amazing breakfast here with my husband! The service was incredible and the food was cooked to perfection. I would recommend this restaurant to my friends and family when visiting the Wynn in Las Vegas! We had a great experience! Love the pastry platter and food was excellent! Coffee was great also! Go there! Best breakfast I’ve had in my life and the ambiance would be hard to beat. I was greeted very warm and graciously. The service was very professional and genuine. The food was of the highest quality ingredients and prepared perfectly. 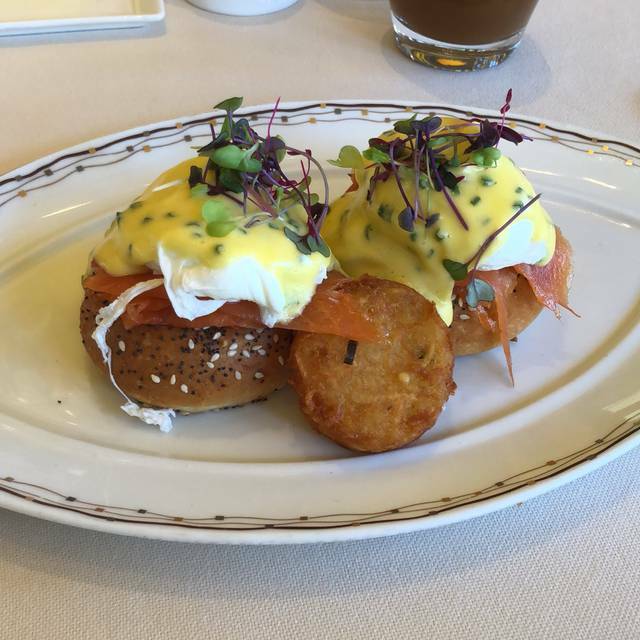 A Fine Cooking Elegant Breakfast is such a luxury, and the experience exceeded my expectations!